Don's Jewelry is a full-service jewelry store where most jewelry repairs are done in house. This enables us to do the work in a timely manner. Usually taking 2-3 days unless parts are needed. 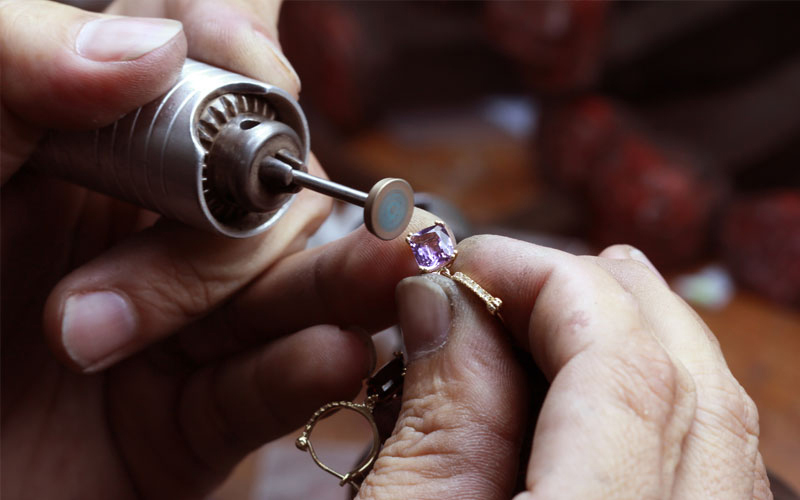 We repair silver, gold, and platinum jewelry. We cover everything from solder jobs, re-pronging, ring sizing, stone replacement, bead and pearl restringing. Here at Don's Jewelry, we can use 3-D computer Cad programs to turn ideas and drawings into one of a kind finished pieces. Selling gold has never been easier. Gold has been going through the roof recently and now has never been a better time to sell your gold, silver or platinum. We buy gold necklaces, rings, bracelets, pendants, charms, chains and pretty much anything that has gold in it. We also buy Platinum and Silver. Don's Jewelry pays top dollar for your unwanted gold.